At the MVMA we know our members face their own unique challenges when it comes to operating in their local communities. 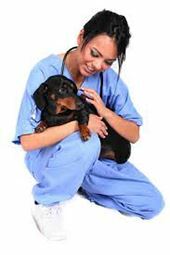 Often animal shelters and rescue organizations operate independently from local veterinary practices instead of acting as partners. But we should remember that everyone has one thing in common: the desire to see positive outcomes in the treatment and welfare of animals. MVMA member, Dr. Cathy Anderson, designed the Building Bridges program as a way to improve relationships between private practitioners and animal welfare organizations. 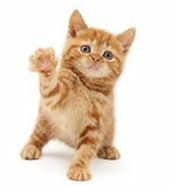 Dr. Anderson has presented to classes at Michigan State University’s College of Veterinary of Medicine, at the Michigan Partnership for Animal Welfare Conference, at Michigan’s No-Kill Conference, to the Pennsylvania Veterinary Medical Association, and to numerous local groups in Michigan. 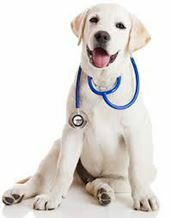 Dr. Anderson’s primary position is as Jackson County Animal Shelter’s shelter medicine veterinarian. She is a member of the Animal Welfare and Legislative Committees of the MVMA. She is an adjunct professor at Baker College of Clinton Township where she teaches in the veterinary technology program, and is one of the founding members of PAWS Pet Rescue out of Brighton. As a non-profit entity, CATalyst Council is a national leader in creating resources to help foster positive veterinary-shelter partnerships. They have developed materials to assist and guide you as you begin a connection or grow the one you already have. An overview of each component of the Catalyst Connection Toolkit. Find out briefly how each of the materials below can help you develop a valuable partnership and encourage pet owners to take proper care of their pets. An overview of Catalyst Connection that includes important information on the reasons behind the initiative and ways it can benefit your facility and community. A detailed look into the current trends that surround pet ownership and how they affect animal shelters and veterinary clinics. What your practice can gain through participation in the Catalyst Connection--more clients, improved care for the pets in your community and a decreased number of owner relinquishments to your local animal care and control agency. What your shelter or rescue organization can gain through participation in the Catalyst Connection-improved client education, better care for pets after adoption and fewer relinquishments after adoption. A list of outdated terms along with some friendly alternatives. A step-by-step guide to contacting other facilities in your area and beginning a conversation about working together toward a common goal. These templates provide suggestions on how to craft a letter or email to another facility inviting them to meet and discuss the possibility of teaming up. A template for you and another facility to use when creating a written agreement pertaining to the structure of your partnership and your commitment to specified goals.